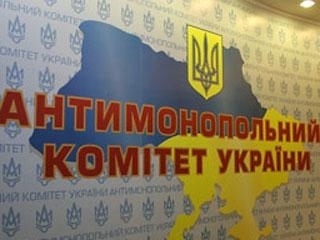 The Antimonopoly Committee of Ukraine has suspended its permission for merger of the VimpelCom mobile communication operator and the Kyivstar mobile communication operator. The authority passed this decision at its meeting on April 22, un.ua says. The Antimonopoly Committee decided to review the permission it previously gave to Telenor (Norway) and Altimo Holdings and Investments Ltd (British Virgin Islands) to gain control over Kyivstar and Russia’s VimpelCom. The watchdog decided to revise its permission upon new facts provided by Astelit operator (the life:) brand) and satisfied the operator’s request to suspend the permission pending the revision. According to the Antimonopoly Committee’s Chairman Oleksii Kostusev, the Astelit company asked the Antimonopoly Committee on April 20 to review its March 9 decision to authorize merger of Kyivstar and VimpelCom. According to Kostusev, Astelit provided facts that the Antimonopoly Committee did not have when it made the decision to authorize the merger. In particular, Astelit said that the assessment of the merged company’s share of the market of mobile communications was based on a financial report for 2009 that did not exist when the Antimonopoly Committee made the decision to authorize the merger. In addition, the Antimonopoly Committee based its calculation of the merged company’s market share on their subscription base but Astelit said that it would be more accurate to base the calculation on the volume of services provided in monetary terms because a single subscriber can subscribe to the services of several communications operators simultaneously. During assessment of the distribution of radio frequencies for the GSM 900 and GSM 1800 mobile-telephone standards among operators of mobile communications, the fact that the Defense Ministry also uses channels within these frequency bands was not taken into consideration. Therefore, according to Astelit, the real proportion of frequencies used by mobile communications operators is significantly higher (58% of the GSM-900 radio frequencies and more than 50% of the GSM-1800 frequencies). According to Astelit, all the above-stated circumstances provide grounds for review of the Antimonopoly Committee’s decision to authorize the merger. As Ukrainian News earlier reported, the Antimonopoly Committee approved merger of the Kyivstar and the VimpelCom (Russia) in March. On October 5, 2009, Russia’s Altimo and Telenor reached agreement upon combining their holdings in Kyivstar GSM into a new joint cellular communications operator, VimpelCom Ltd. (Bermuda islands) to render integrated cellular communications services in Russia, Ukraine, and other members of the Commonwealth of Independent States, as well as in Georgia, Vietnam, Cambodia, and Laos.